Soak dry active yeast along with sugar in lukewarm water for 10 minutes. After 10 minutes the yeast will bubble and you will see a good frothy layer on top. Take a cup of flour in a bowl and add oil salt and active yeast to it. Add some water and stir the mixture untill it becomes sticky and leaves the sides of the bowl. Knead the dough into a smooth, springy ball and apply some oil all over the dough. Cover the dough with a wet cloth and let it rest for 2 hours. After 2 hours the dough will double up and will be ready to use. Divide the dough in 2-4 parts. Take one part at a time roll it into a ball. Dust the ball with some dry flour and make a circular disk. Then place a tbsp full of all the chopped vegetables and then place some grated cheese on it . Sprinkle some salt, pepper,chili flakes and Mixed Herbs . Enjoy and Savour ... 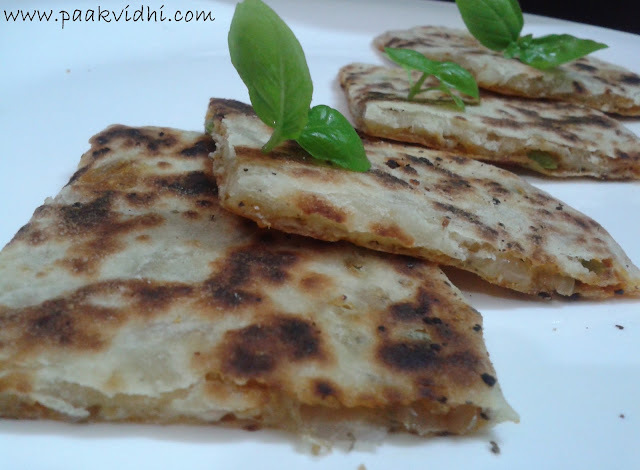 The Yummy Pizza Parantha. 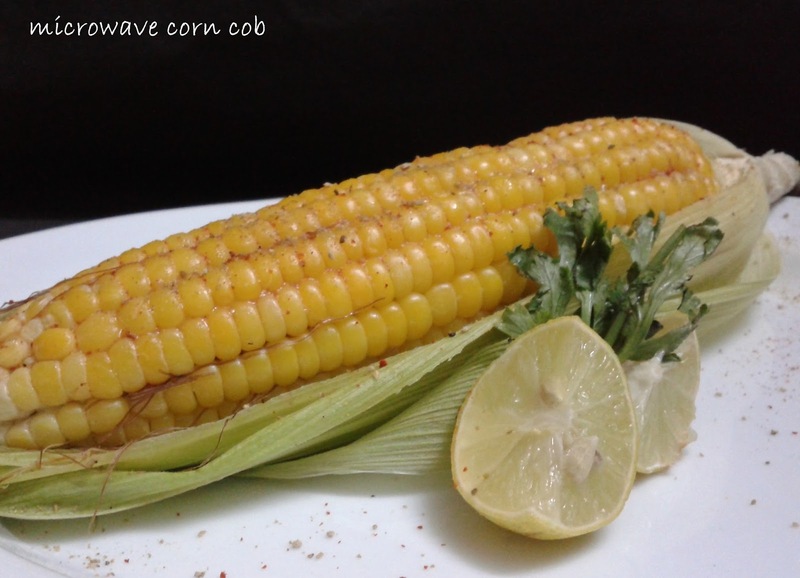 Wash the corn cob without removing its husk. Place the corn in the microwave, do not remove the husk. Microwave the corn on the high setting for 4-5 minutes. Remove the husk and rub the lemon squeezing it lightly all over on the corn. Now rub salt and spices and enjoy. 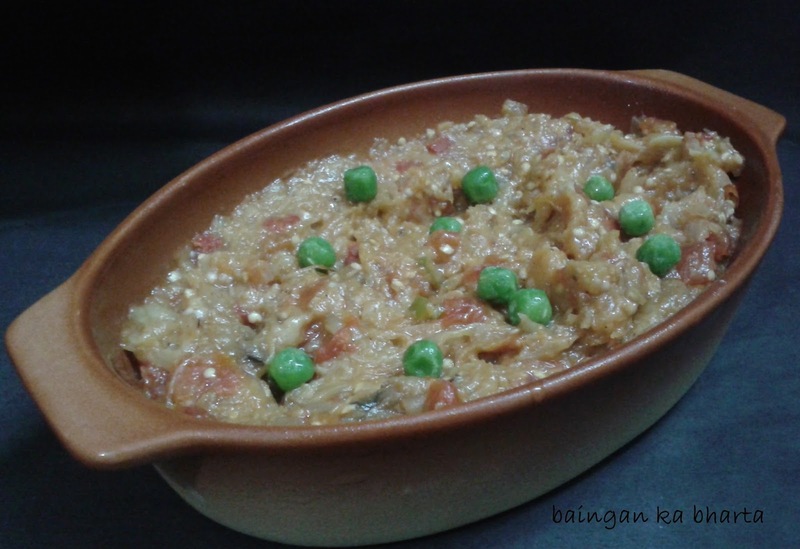 Wash the brinjal and grease it with little oil. Roast it over an open flame turning side occasionally till the skin is charred and can be peeled off. Cool and peel the skin.For this keep the hot brinjal in cold water in a bowl and gently remove the burnt skin. Wash the brinjals with clean water and mash the pulp thoroughly and keep aside. When they crackle add the onions and sauté till they turn pink in color. Add the ginger, garlic and green chillies and sauté for a few more seconds. Add the tomatoes and peas and cook till tomatoes and peas become soft. Add the mashed brinjal, all the spices and salt, mix well and cook for 3-4 minutes. 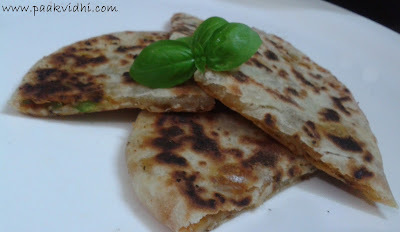 You can roast the brinjal in an OTG also. Roasting brinjals gives them a distinct flavor.But if you don't have time to roast them . You can either boil it after peeling it with a peeler or simply peel and chop them and put them in roasted masala and cook till they are done. Place some faluda in a sunday plate. Now place two scoops of kulfi and mango slices over it. Place cherries or chopped nuts on the kulfi. Place some soaked sabza beej on the faluda and drizzle rose syrup over it. Take a clean polythene bag and place it on marble top or on rolling board. Clean it with water and spread a tablespoonful of batter on it with wet hand. Place a tsp of filling in the center and fold first half of the batter on the second half of the batter in a way that the stuffing is covered. 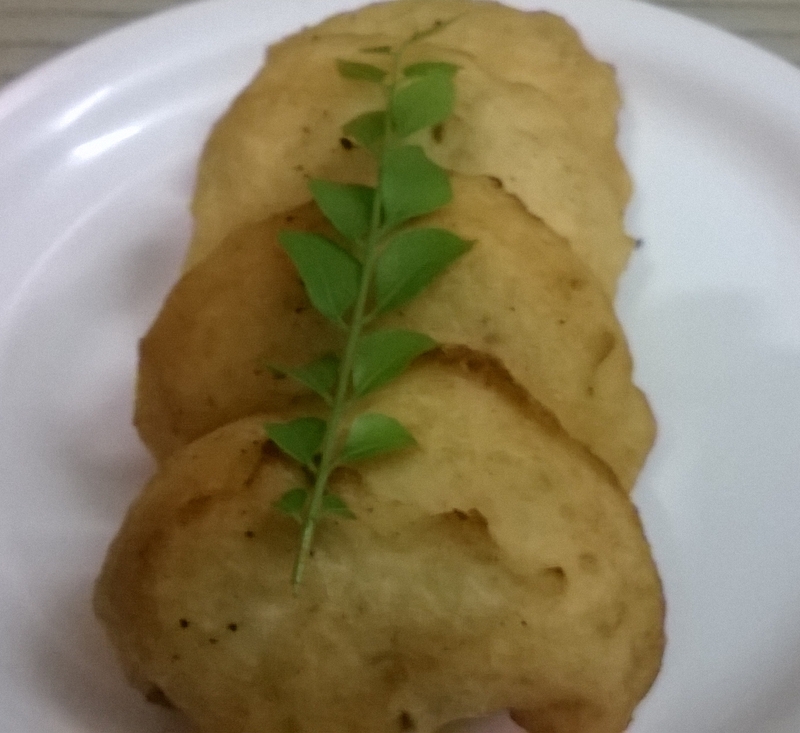 Carefully take it on your fingers and Immediately put it in the hot oil and fry until light golden. Drain onto an absorbent paper. Put bhallas in sufficient quantity of lukewarm water. Leave for two minutes. Squeeze between your palms to drain out water. 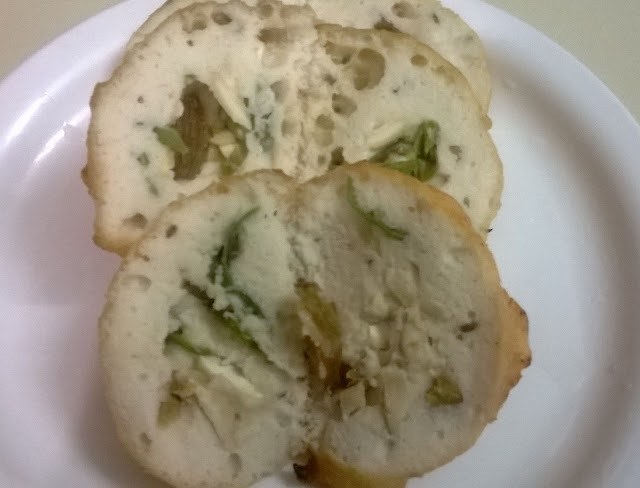 Cut the bhalla in a way that the stuffing is visible and place it in a plate. Top it with curd, tamarind chuttney,green chuttney ,ginger juliennes, pomegranate seeds,sev and sprinkle salt,degi mirch powder and chaat masala. 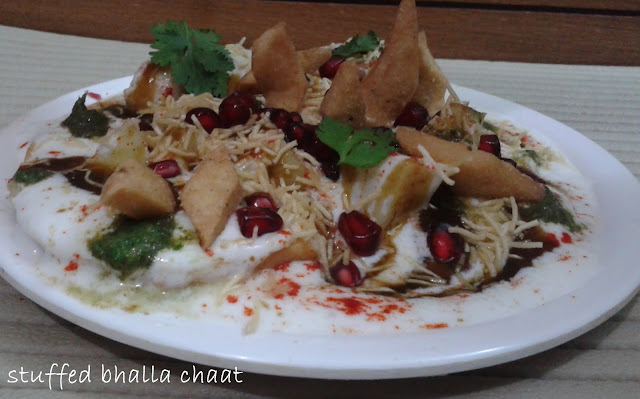 You can also add chopped boiled potatoes, papdi and boiled kabuli channa to the chaat.